Lakes, rivers, waterfalls... water brings us life. 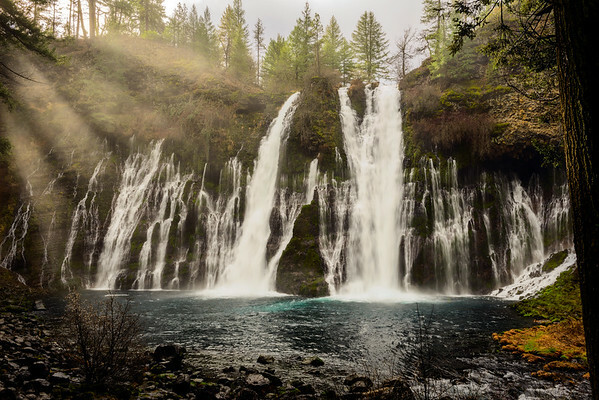 While Burney falls is simply amazing to see in person, it is also unbelievably hard to capture that size and power in a single photograph. This shot has been sitting on my hard drives for over a year, I've tried a couple times to edit it but... man, its a challenge when you start to factor in the tree branches, mist and water movement.